What a lovely trip to Sierra Leone I have had. I worked with the coolest people… medical students, now contact tracer supervisors, having the education of a lifetime and not yet realizing it, former students and friends of former students. Being there in the era of panic and fear last fall and being back now was a wonderful contrast. Seeing schools start up again 10 days ago with that burst of joy accompanying quiet households and traffic jams for the first time in months was magical! But, what I wasn’t expecting is that the gifts of the trip keep coming even after being home. I wrote a bit on April 9th about the chief’s lying or hiding deaths. I did not get into all the complexities then but with regard to reporting deaths and testing all bodies for Ebola, the chiefs are in a tough spot. There are about a dozen dozen chiefs and thus at least a dozen dozen cultures across Sierra Leone, but in general, in the crudest of terms, the chief sits at the pivot point between the ancestors and the traditional forces of the universe and mundane world in which I walk. According to an amazing anthropologist named Joe Opala (who came to SL with the Peace Corps in the 1970s and never really escaped http://en.wikipedia.org/wiki/Joseph_Opala ), the traditional belief system tends to believe that the ancestors and the forces of the universe only want peace and calm. That is, unlike Christianity or Islam, their god-like forces have no capacity of wrath. I had never thought about this but if your god(s) only wants peace and calm, and you live in a world with tangible injustice and threats and things to fear, you need something other than your god to cope. In the traditional village, that is black magic, and most typically is controlled by secret societies. The secret societies have all kinds of beliefs about what needs to happen when an elder dies, or when something special or scary happens. Typically, the chief is the one who calls the secret societies to meet but is not an active member. On rare occasions a chief needs to be removed and they might poison him. The village women’s society tends to perform the female circumcisions, the men’s society that of males. In some real sense, the chief gets his standing within the village, and thus his power, by keeping the secret societies on his side. Thus, when the government says he will be breaking the law when he does not report the death of an elder but the secret society has other plans, he is in a tough spot. No wonder the chiefs often lie! So, getting to the ongoing gift part… I had an interview a couple days ago with Jerome MacDonald at WBEZ in Chicago. I botched a couple of things (called the ancestors elders, got confused with my own double negative…) but it was by and large the friendliest interview I have ever had. He had followed this blog and he just kept asking questions which he already knew that I knew the answers. He was fascinated about this notion of the chiefs being in a tough spot and hiding deaths and that was mostly what we discussed. As I walked out of the studio, I had an image pop into my head from two days before that made me realize President Obama does the exact same thing as those chiefs. He never discusses how many civilians are killed by drones thus far. He ran a campaign to be elected in 2008 largely in opposition to the war in Iraq, but when discussing the costs and benefits, he and almost no leader, will ever admit how many Iraqis have been killed by us. And the reason is, because if they admit the truths about deaths they will lose support from a key constituent (the defense community) that is needed to maintain power. So again and again, spokespeople and elected officials avoid or lie about deaths for exactly the same motive as those Sierra Leonean chiefs. While however grim the topic of denied deaths anywhere, here is where the story gets nice for me. When I was five or six years old, one day I accompanied my mother into the small dry cleaners’ shop that my parents used. Being an ignorant little kid, I thought nothing of it when I said to the shop owner, “Mr. Bergman, why do you have that number on your arm?” My mother was mortified and told me to hush… and Mr. Bergman just smiled and went on with his business. In the car afterward, my mother scolded me to never probe into people’s body issues or personal matters because you might offend them. She told me that the tattoo on his arm was because he had been a Nazi prisoner, and that it was hurtful of me to have brought that up. This was exactly why I should not stare at deformities or ask about people’s personal things, because one never knows what will bring pain to a person. I have not thought of this experience for years, until the last couple days. On my last day in Freetown, I bought some cloth bags from a guy whose hands had been severed off, I am sure in the war. That was a famous method of punishment in the war in the late 1990’s. He was about 40, we bartered a bit, he was good at it and lighthearted in his bartering. When I agreed to buy six, he separated the bags by untying a sting with his teeth. When I handed him money, he dropped some so I picked it up and held it on a railing until he could take a stump and push the money into his elbow joint to hold it. Then he pushed the money from his elbow joint with the other arm stump into a sack he had on his side. As I held the money and helped him re-sort his bags he was giggling with the struggle of it all… and I think it was genuine lightheartedness as he had now sold almost all of his bags. As I walked out of that radio station, I suddenly had an image of that man with no hands and I instantly was reminded how recently the war was, which made me realize keeping the black magic happy for the chiefs was exactly analogous to keeping the military happy for the Commander in Chief. I wish I had that insight minutes earlier while I was on the radio! Then I realized, maybe for the first time, that I had touched the stump of the bag seller in Sierra Leone and I had not cared or noticed at the time. I had become the person my mother hoped (but never could have believed would happen) I would become 47 years earlier. I had encountered someone with perhaps the ultimate deformity associated with torture and was able to not have it get in the way of our interacting as two humans. What a blessing that Mr. Bergman was there to sow thoughts and feelings in the impressionable mind of a six year old. What a great mother I had. What great luck that one of the last people I saw in Sierra Leone seared such a visceral image of how recent the war was, making me realize I was hypocritical to think chiefs hiding deaths was anything other than universal political dynamics. How lovely that in this crisis, unrelated to any legacies of colonialism or abusive capitalism or any political crap, the world stepped up in a big way and I got to be one of that world’s tools of compassion. What a lovely trip to Sierra Leone I have had! Life back to normal: This kind of crowded activity has only been visible the last couple weeks since school restarted. As every corpse is supposed to be tested for EVD and probably half are, we detect some from death swabs. As a humanitarian community, category 2 above consumes about 90% of our surveillance energy and has, over the last couple months, probably produced about 10% of our new cases. Thus, I want to cut back our energy on those things and spend more effort finding and swabbing every corpse… but few are at peace with that suggestion. In the most Ebola lingering District in recent weeks, Kambia, they had 880 blood samples taken in March and one was positive. There have been a couple of positive samples so far in April, so it is likely the rate of positives in April will be a couple times higher. That contrasts with four percent positive death swabs in Kambia during March. That means per sample taken, a death swab is at least ten times more likely to identify a new case. Finally, about half of all deaths in Sierra Leone, perhaps a little more, are being tested for EVD. If we assume that people experience a fever of 38°C and three of the potential Ebola symptoms (e.g. headache, body ache, exhaustion, diarrhea, vomiting) on average once per year, then not one in a thousand people who should be coming for testing are coming in. Thus, when you combine the rate of positives with the effort needed to get samples with the coverage rate, you would think all the effort would be going into getting more and more deaths sampled and safely buried. But, others use other calculus. Some people value finding people who are still alive because one can get them into treatment and perhaps save them. Given that 20 or 30% who do not go for treatment survive and that 30% or sometimes 50% survive in the ETU’s, the marginal increase in the chance of survival is perhaps 20 or 25%. (There are folks who will protest this but they usually do not distinguish those detected by others with the self-induced early treatment seekers or include all the chances of death after being tested while waiting for transport, being transported…). 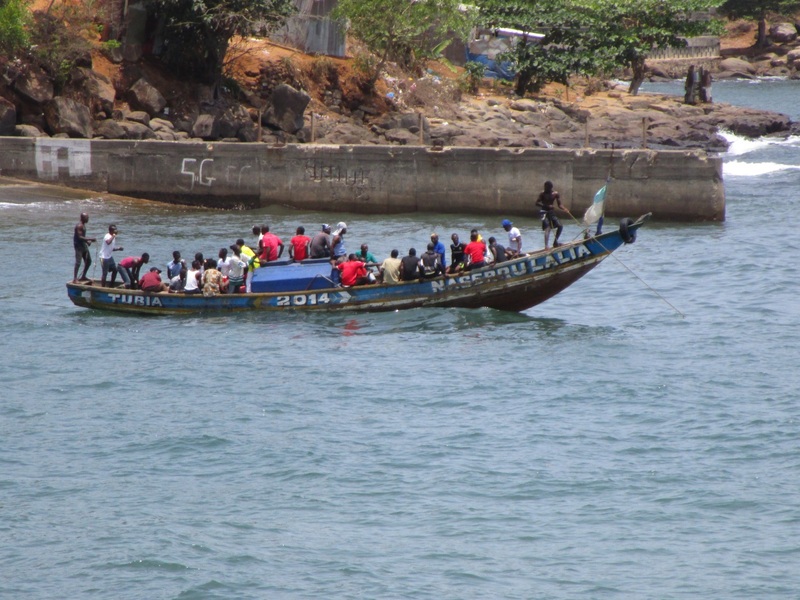 There are others, especially Sierra Leoneans, who know that getting more chiefs and remote villages to call in deaths involves huge cultural barriers. I just repeated a sensitivity exercise in two high incidence Districts that we had assessed in October. The system is no better. We missed two thirds of cases then, we probably have missed two thirds in 2015. The solution would be to put a lot more effort into monitoring all deaths. That is not going to happen…. and it might not be that big a deal. The outbreak is winding down because of social changes and widespread safe burial practices and services. In the grand scheme, it may not be important that the surveillance is poor. Epidemiology… it might not always matter? Clearly, time for me to go home! While the exaggerating village we visited yesterday was not a positive story, the visit to the clinic was… almost unimaginably inspirational. The nurse, Mariatu, who runs the clinic, was very good-natured and sharp as a tack. When we came to her to verify the claims that over a dozen people had come to her clinic and died, she verified that and told us oh so much more. Back in October, patients with Ebola started coming. Because if they do not die, they would typically spend three weeks, it got crowded. As they have only a couple beds in the facility, most of the October – November period of hell involved the majority of patients laying on the floor vomiting and defecating. She runs a health post and was absolutely not supposed to accept Ebola patients, but they were her people and she said she could not turn them away. Every day she repeatedly called 117 and asked for help. But, as I wrote back in the Day 54 blog, at the peak of the outbreak there were no beds available so none of the supportive services worked, including ambulance pick-up. Mariatu had no protective clothing. She had no gloves. She kept calling her superiors asking for these things, and for help, but none came. She did have chlorine. She had some knowledge about infection prevention… and she had guts! Every day she would have the patients drag themselves onto the veranda and she would pour chlorine solution over the floor. They buried the body when a patient died. She kept giving them fluids and food. By late November she could refer patients, and an ambulance would come when she called; by then she had treated 16 patients and 7 of them had lived. Miraculously, neither she nor her assistant became sick! Whether she was astonishingly brave and lucky or astonishingly brave and smart (or both), I cannot assess. I can only say, wow was it humbling to meet her! Mariatu in front of the graves behind her clinic. She was so chuffed that I wanted to take her picture so I could tell my students about her! I had a wonderful experience yesterday about my own inability to be analytical. We were repeating a sensitivity assessment that we had done in November to see where things stand and to document any improvement in surveillance over time. The process goes like this: in each village we ask the chief about the details of any deaths this year, articulated as since Christmas, and if there have been any Ebola cases in his or the neighboring village this year. After starting with the chief, we always try and triangulate the findings with some other source like counting recent graves or speaking to a local clinic nurse. In the end, we see the fraction of credible reports that had been detected by the surveillance system… and while not perfect, it gives us a reasonable insight into the system sensitivity. We went to a village… maybe with around 300 people… where the chief reported five survivors and about 17 deaths this year, all but one from Ebola. This was really uncool in several ways. This would be more cases than this Chiefdom (their equivalent of a county) had recorded for this entire year. If this were true, this would be a huge undetected flare-up and cause us to doubt the entire knowledge about the state of the outbreak in this District. According to the chief, six of the cases had been in March and one was just last week. Even before analyzing the data fully, I was sensing that the surveillance system was not performing well but this was a monumental oversight. Making it worse, most of the cases had gone to a local government clinic and died there making the under-reporting more inconceivable. On the other hand, the chief and the villagers around him seemed unusually unsure about the dates of the deaths and we had seen elsewhere that people often report deaths from 2014 as being in 2015, so I was not completely distraught yet. We did our usual procedure; at the end of the interview with the chief we asked if we could go see the graveyard where he has told us all of the safe burials occurred. In this rather remote village there was not one graveyard but the chief graciously gave us a tour and showed us 14 graves, some of which could have been four or five months old. It has not rained since October and lack of vegetation proves little. But, a couple were very fresh, like only a couple weeks old and probably another seven sure looked like they were from this year. Given that most of the 20 deaths had supposedly happened at the clinic and the patients were buried there, this sure seemed to verify the chief’s report. Making it more disturbing and plausible, the six deaths reported for March had all not gone to the clinic and had died at home. People grew to think if you go to the clinic you will die, so late in the outbreak they tended to stay home. I was bummed. We thought we were at ten cases a week nationwide. If we could randomly pick 12 villages in Port Loko and just by chance find a village like this, how many hundred others must be out there under the radar? The surveillance system has so many shortcomings that this was completely possible. Given how major a surveillance failure this was, we decided to go to the clinic where most of the deaths had taken place. On the drive there, I was thinking of how to break this news to my boss Dr. Yoti, who has been here for months and months working unbelievably hard and barely seeing his family in Uganda… and the NERC (National Ebola Response Centre) in Freetown… oh my gosh will they be apoplectic! I started to write my e-mail to Dr. Yoti in my head. Should I come back with a team the next day and interview the families and get all the details before bringing this to my superiors? With so many graves and so many deaths reported by the chief, something had to be going on. When we arrived at the Cadick Maternal and Child Health Post we were lucky enough to encounter both the nurse and her assistant. They were really impressive, and more importantly, had kept great records. They confirmed every name and every death that the chief had attributed to this clinic, but showed how almost all had been in November and October, back when we knew there were widespread undetected cases. Whew! The one death the chief said happened at the clinic last week did indeed, and while it was suspected EVD, the lab results were not yet known. Thus, even with many fresh graves, there apparently was not a huge outbreak that had gone undetected in recent weeks. A team of local staff went back to the village today and now the chief says only two deaths happened this year. Based on the graves I saw I do not believe that either. I suspect that this chief wanted support and aid for his village where ten percent have died since October and they have been given little beyond the blessing of quarantine. In this case, I suspect they had a bad outbreak in 2014 and a few cases spilled into early 2015 but he was allowing the families to bury their own so the last cases went unreported… but this was not evidence of a recent (post February) massive outbreak going undetected. Oh my gosh! Thank goodness for triangulation and the ability to put some check on crude and deceptive data. Thank goodness I don’t tweet (… which if we are honest, sounds rather rude in polite company). A pretty recent grave! That is weeks not months. A grave probably from recent months but not recent weeks. There are some amazing events that keep passing-by just beyond my comprehension, and I really want to explore them, but I know they will do little or nothing to stop the present outbreak, so I have to resist. We were doing a sensitivity assessment in Bombali District this week, looking at the system for recording deaths. The idea is, you pick some villages at random, you go out and find out about the deaths there since New Year’s Day, and then you see how many of those deaths were recorded by the surveillance system. We did this in a village way off the beaten path on a road barely passable by car. It began as usual with a conversation with the Chief. Early on, in my asking about deaths, the 30 men and children hanging around got rather agitated and I was a little worried, briefly, that we might get beaten, but that passed. There were three deaths, and one was a little suspicious on the Ebola front as it was a middle-aged woman dying with a headache, no fever. Upon further probing, it turns out she had arrived from Freetown just a couple days before her demise. But, they insisted that she was without fever and that there was a safe burial team that buried her and she was Ebola negative… and the Chief could show me. He returned with some of her medical records and it turns out, she had been living in Freetown, was HIV+, had entered an ETU in December and been discharged after testing negative on the 12th, re-entered a different holding center almost six weeks later on January 19th, and was discharged with a letter showing her negative test for Ebola on the 21st. She died 10 or 11 days later. That delay would make me think that she got infected while in the holding center, except that the Viral Hemorrhagic Fever database (VHF) shows that when entering the facility in Freetown she had fever, vomiting, diarrhea, body pain, and severe fatigue. Thus, maybe she took a long time to have detectable virus in her blood? I don’t know. It is just an interesting case. Perhaps most disturbing is that the District Alert database and the CDC’s VHF database both show that she had a swab taken at her death, as should have happened, but there was no test result recorded. Thus, we may never know for sure if she is an Ebola case, but my counterpart in Bombali is trying to chase down that test result. Looking back on the agitated crowd, I think they thought she was EVD+ and they feared I would bring quarantine to the village. If they knew, they might have bribed the burial team to lose the sample… which would be useful to know in terms of fixing the present system. But the rest of the fascinating case, I just want to know about that out of curiosity and my fondness for historical records. Likewise, on the same day that Bombali counterpart, Oleg Storozhenko, who is following up on the lab test, went to a tiny village with less than 150 people that experienced 48 cases of EVD in late 2014 with 42 of them dying. The Chief was very clear and up-front about it all. Someone came from outside and died. They had a funeral where people drank the body rinse water, and then lots more got sick… Of those 48 reported cases, it appears only 3 are recorded in the VHF. We asked a WHO colleague who was there all this time and he remembers the village being decimated but says record keeping was so bad that, yes, it is possible only 3 out of 48 got properly recorded. A part of me wants to go to the village and spend a couple days confirming the information to try and understand how a quarter of a village could be infected and why it stopped… and how the surveillance system missed them or mis-recorded them. But, that was five and six months ago, and it might not teach us much about improving our systems and services right now. So, I will try and block it from my mind and figure out how deaths are getting missed in the next District. It is painful to think about the lessons we are not learning. As an outsider, with only a couple of months experience in Sierra Leone back in 2001 and 2002, it is really hard to digest the nuances of the culture here. For example, when people lie to you or to the record, it is hard to know if you should be ticked-off. She had arrived with clear symptoms of Ebola but she was related to the head nurse, so when a nurse wanted to call the “Ebola Alert” line to take her as a suspect case to a treatment center (in the next District over), the head nurse said “no”, she was fine. She died around 36 hours after arriving but it then took 12 hours for the body to be picked up by the safe burial team with her lying dead in the full ward for that period. None of the nurses were practicing any of the minimal infection control practices (wearing gloves, washing hands between patients…). When the safe burial team sprayed chlorine around the bed, they did not spray the mattress and instead set it outside in the sun. When a new patient arrived some hours later, she was put on that mattress. When during the inquiry four days later, my colleague saw a women vomit and brought it to the attention of the staff, they realized she had a temperature of 38 degrees Celsius, they said it was not an issue because she had been fine before. They could not be talked into calling the 117 Ebola Alert line… nor could the hospital safety officer… it just goes on and on. So when I heard the chief nurse yelling at someone, mad as hell because she was now quarantined with nine other nurses, claiming that her nurses on the women’s ward always wash their hands between patients when I had just witnessed the opposite 20 times, I felt a little miffed! Many of my Sierra Leonean counterparts have had their lives ruined. The schools have been closed for a year. Selfishly, it has been weeks since I woke-up next to my wife. I have students that have waited two months to get papers back – that has never happened before. And hundreds of others and I are here now because of a systematic series of sanitary catastrophes, still happening 12 months into this outbreak. I later learned that four of the seven deaths logged in that women’s ward were never registered as a death within the District. Our local co-workers insist that this is because the families bribe the burial teams to give them the body so they can have a traditional burial… which if true, only increases my miffedness. On the other hand, I have visited about a dozen Public Health Units (PHUs) in the past days and all of them are ignoring the rules about screening febrile patients. The government insists that anyone with fever and three symptoms must be turned away from the PHU and sent to be tested for Ebola at a Community Care Center (CCC) or Ebola Treatment Unit (ETU) for further screening, and when appropriate, testing. Often this involves travelling great distances. Even when the CCC is nearby, it means having your blood drawn and staying for a day or two before getting the results back. In the rural district with the highest attack rate this week, they had one positive blood sample out of around 880 taken at the screening centers in March, so almost all people tested experience two days of fear and loneliness for no benefit. Most people will just not go to these treatment centers. They are scary. There are human-like figures in PPE. It is hot and away from people, which is unnatural here. Thus, the nurses at the PHUs just do not enforce the screening requirement. 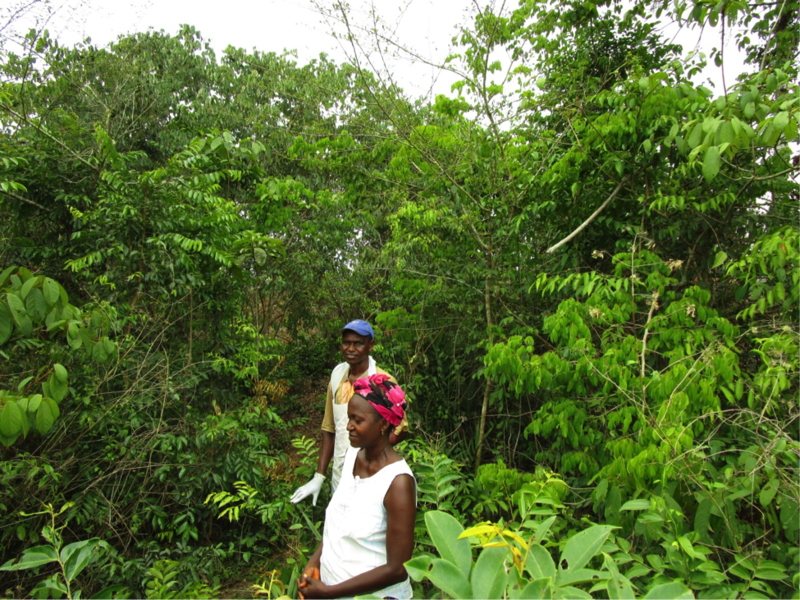 They see a woman walking in with her child, the child is 1,000 or 10,000 times more likely to have malaria than Ebola. If they enforce the screening rules, that woman and child will not come to the clinic and that child will not be treated. The nurse knows the rules, she knows the risks, and she is choosing to do what is best for that mother and child while ignoring what is best for catching those last couple cases of Ebola in the country, which is my agenda. When I arrive in my nice WHO vehicle and she lies to me about having no patients that matched the suspect Ebola case definition, and I see dozens of malaria and typhoid cases diagnosed in the past weeks which mostly had to fit the suspect Ebola definition, I feel nothing but affection for her. My agenda and the Government Ebola agenda are not well aligned with her life-saving agenda. Thus, I am not sure what to think and how to feel when I catch Chiefs in a bold-faced lie. 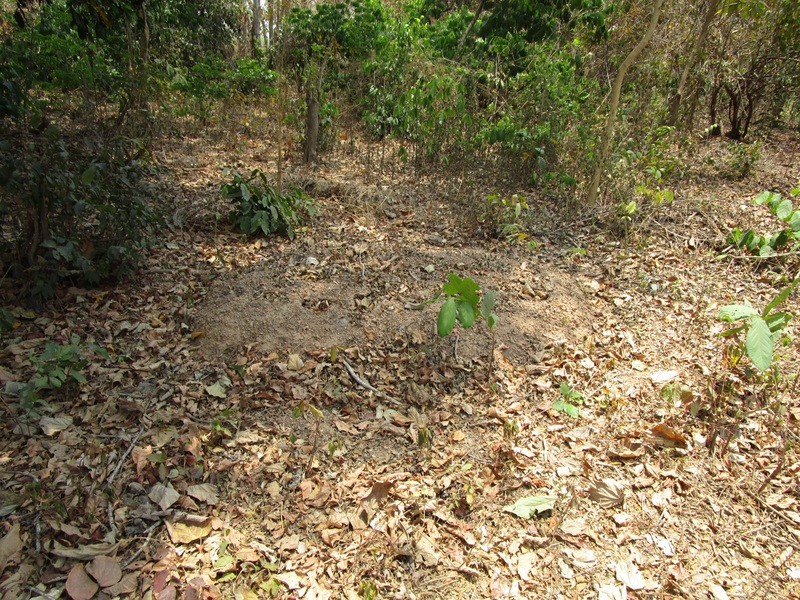 For example, three out of five villages in Kambia District where the Chiefs told me they had no deaths this year had fresh graves in the cemetery. Not fresh like no vegetative cover, fresh like in recent days where the soil is not yet dried out and sun-bleached. I know they fear quarantine. I know they have broken the law by hiding deaths. But, what I cannot fully understand is their motives and how much these lying, Chief hiding deaths are markers for those populations that practice unsafe burials, and how much they are inducing risks for the collective good. The wounds of the war are fresh. Many tribes don’t trust their District leaders. I don’t fully understand the implications of their deception. There are a lot of deaths still hidden in the rural areas. But I take great comfort that two weeks to the day after the debacle with the dead woman in the hospital ward, no secondary infections have arisen from her nurses or fellow patients. Last week we only had nine cases nation-wide in spite of all these widespread appalling practices. Thank goodness Ebola is only an intermittently infectious disease. I had a call from our alum Laura Miller this morning. She was bummed… and a little freaked out about an infant case that arose in Kailahun where there has not been a case for quite a while. This is where the outbreak seems to have entered Sierra Leone. The child’s parents are EVD negative. Something similar (psychologically but not epidemiologically) has happened in Liberia in recent days, and if I believe the newspapers, perhaps those are linked to sexual transmission. Laura and thousands of others have been really demoralized by embers of Ebola arising where we thought the outbreak had come and gone. Analysis of hundreds of frozen blood samples from 2011 – 2014 at the Kenema Hospital Lassa Fever Ward found 22% of Lassa Negative patients were EVD +. See: Boisen ML et al. Multiple circulating infections can mimic the early stages of viral hemorrhagic fevers and possible human exposure to filoviruses in Sierra Leone prior to the 2014 outbreak. Viral Immunol. 2015 Feb;28(1):19-31. doi: 10.1089/vim.2014.0108. A population-based random blood sample of 433 residents “in rural areas” of Liberia in 1978-’79 found 6% to be EVD positive. They tested for anti-bodies (range of positives 1/16 to 1/1024). See: Knobloch J. 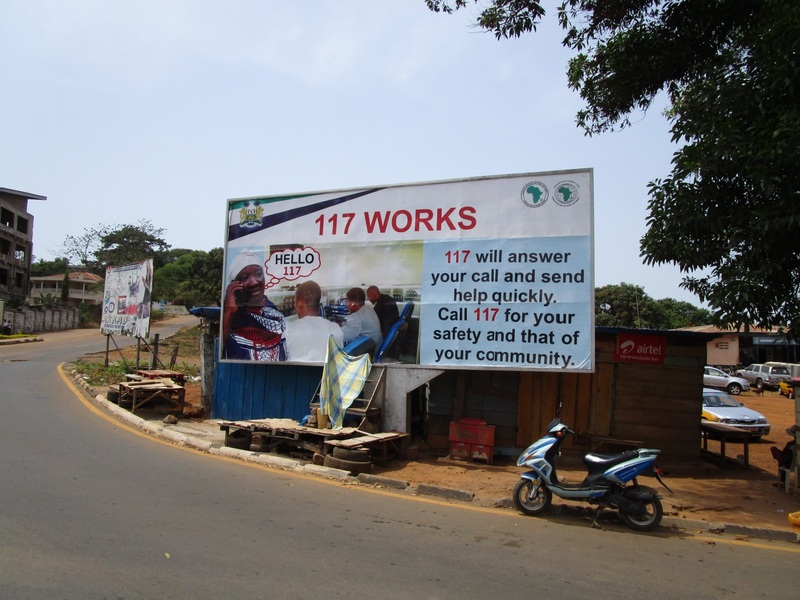 A serological Survey on Viral Hemorrhagic Fevers in Liberia. Ann. Virol. 1982, 133E, 125 – 128. Frozen sera from 592 residents of mining company settlements were taken in 1973 and analyzed in 1986 and 14% were EVD positive and 21% positive for Marburg. See Neppert J et al. No evidence of LAV infection in Liberia, West Africa, in the year 1973. Blut (1986) 53: 115-117. While I know little about virology and I know there was a lot of kibitzing about the precision/specificity /cross-reactivity of those indirect immunofluorescence anti-body tests back in the ‘80’s, I think the 1996 case and the recent Kenema data make it probable that there have been tens or hundreds of cases in Sierra Leone in recent years and that getting to a non-outbreak baseline is not the same as getting to zero. Surveillance has been very very poor in the region. Adding to the counter-productivity of the “Getting to Zero” concept is the notion of ecological equilibrium. If in past years there was a certain viral load in the animal community, ecological equilibrium would suggest that typically a certain number of human cases would be induced based on how often people killed game, were shat upon by passing bats, had a dog bring back an infected squirrel… Perhaps it was just purely human-related luck in 2014 that triggered these favorable human transmission events (like just by chance a couple of the victims had large body-rinsing funerals), but it is more likely the animal load is now higher. Thus (and I am making this up for the sake of discussion), if nationally the baseline was 10 animal based transmission events for an average of 30 cases a year, we should expect far more sporadic cases this year… and now we can test for it and now we are looking! I hate campaign slogans predestined to fail. “Yes we can” is the perfect slogan because it is so ambiguous you are never sure if it succeeded or failed. “Getting to zero” is anything but ambiguous. Talk about setting yourself up for failure!